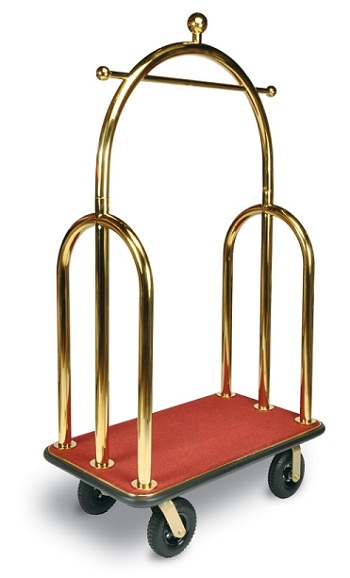 Looking for a solid heavy duty hotel bell man cart, that looks luxurious as well, but you are on a tight budget? Well this CSL Bell-Man Cart is for you! Features a deep plush red carpet, 2" stitanium gold uprights, and 8" pneumatic wheels. All at an unheard of price of $1099.99 Including shipping!